This week's entry for Ben Towle's Animal Alphabet. Ball-point, marker & white gouache on brown paper, recolored & otherwise tinkered with in Photoshop. The color palette reminds me a lot of Make Way for Ducklings. Was that intentional? 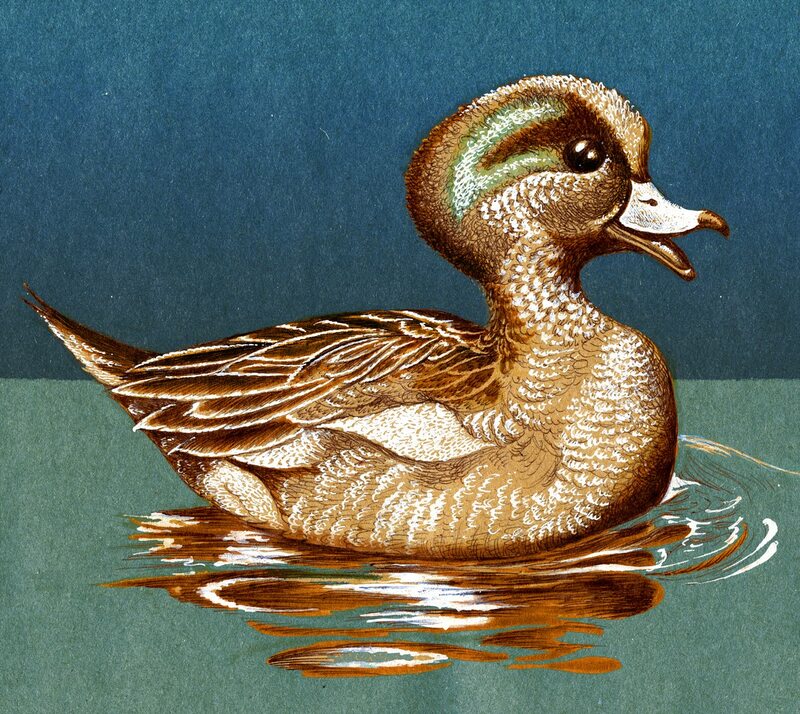 Isaac, I wasn't consciously thinking of MWFD, but I had & loved that book as a child, so it was very likely imprinted in my brain as proper duck coloration! I do so love your colors.